Thanks to Foodbuzz Tastemaker program I was given the opportunity to test out Pace's Picante sauce. I chose to use it in a sauce for Mexican style meatballs. These would be great for a party, like the Super Bowl, since they're small and appetizer appropriate. It also made the Foodbuzz Flavor of the Month, and is my entry for Foodbuzz' Pace recipe contest. 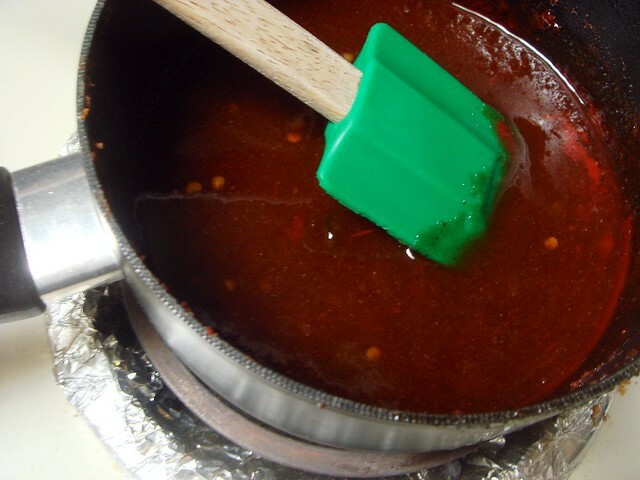 The picante sauce is like salsa, only smoother in texture to make cooking with it easier. It blends into sauces or meat better without sacrificing the taste of salsa. It also is truly mild. There may be just a faint hint of heat, but it's not in any way hot. I also felt it was a bit watery, as a puree of tomatoes would be, so you'll want to take that into consideration if you use it for cooking. You can find Pace products at your local grocery store. I knew I wanted to use the sauce for a Super Bowl themed recipe, since I'll be submitting it to Facebook's contest, so I just needed to come up with a good way to feature the sauce. 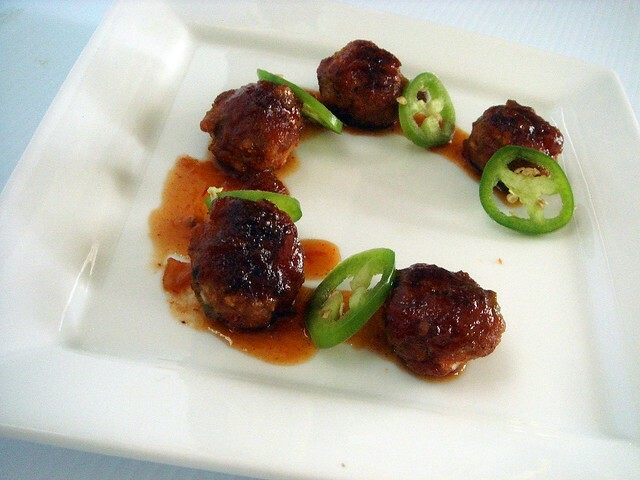 And what better way to do that than a sticky picante sauce for meatballs! You could also use this for wings, too, because it's very versatile. The sauce consists of equal portions of sugar, water, apple cider vinegar and the Pace picante sauce along with chili, garlic, onion powder and salt. Whisk the mixture together and cook at a continuous boil/simmer for 30 minutes until the sauce reduces by about half and takes on the consistency of a thick glaze. This is like a simple barbecue-esque Mexican-style sauce with a back note of spiciness. For the meatballs, you take ground turkey, finely chopped onion and jalapeno, minced garlic, breadcrumbs, oregano, cumin, and salt, a packet of Goya seasoning, and an egg and mix it all together. These meatballs are light and packed with flavor. I chose to use ground turkey since it has a lighter flavor than ground beef, and is healthier. Roll the turkey mixture into tablespoons-sized balls, cook on both sides in a skillet with olive oil, and place on a rimmed baking sheet. This can also be done ahead of time, either by mixing the turkey to portion later, or cooking the meatballs and finishing them with the sauce later. I finish off the meatballs in the oven, covering with half the sauce and baking for 10 minutes, then flipping over and topping with the remaining sauce and cooking another 20 minutes to let the sauce saturate into the meatballs. 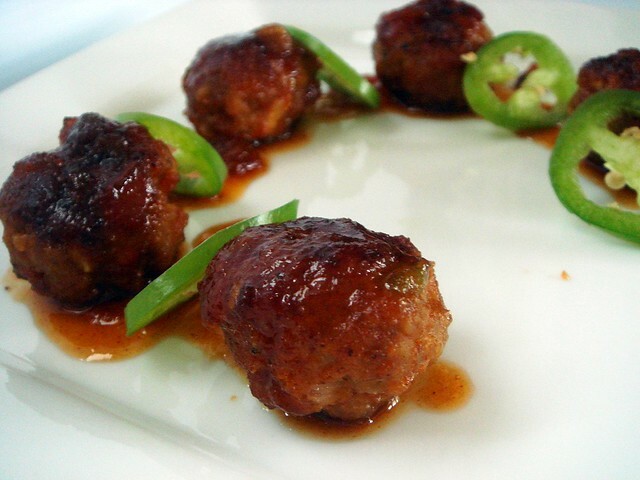 The result is a glaze that coats the meatballs thoroughly with the flavor infusing throughout. Alternatively, you could also finish off the meatballs by cooking in the sauce on the stove, or a crock pot if so desired. Serve with slices of jalapeno and you're ready to party! You could also make some rice to use for a heftier meal. If you're looking for a healthy party dish with a different flavor, here it is! 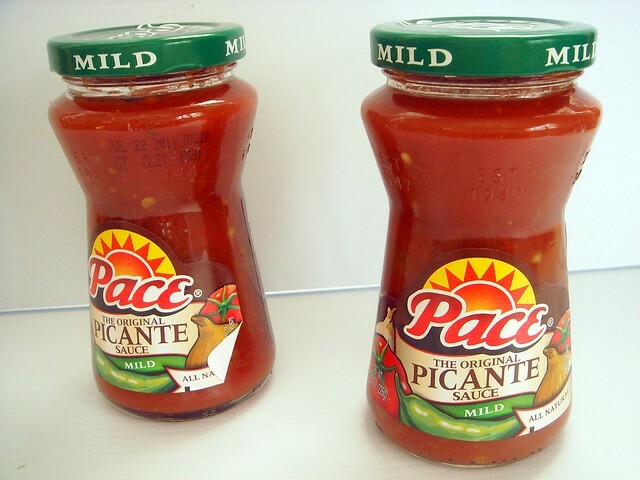 The sauce is versatile and can be used in many ways, so pick up a bottle of Pace Picante and get cooking. In a medium pot, whisk together Pace Picante sauce, water, apple cider vinegar, sugar, chili, garlic, and onion powders and salt. Bring to a boil over medium high heat, then reduce to medium and let simmer continuously for 35 minutes or until reduced by half and thickened to a glaze. 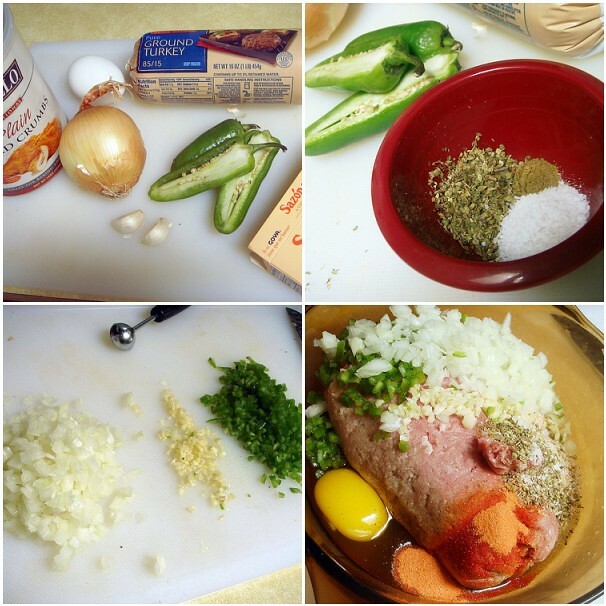 In a bowl, thoroughly mix ground turkey with remaining ingredients, except olive oil additional jalapenos. 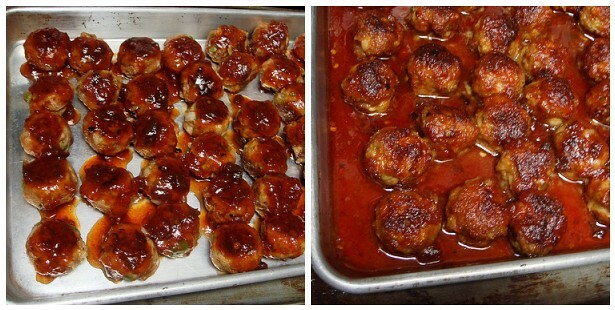 Using a 1 tablespoon measuring spoon, portion into level tablespoons and roll into balls. Preheat oven to 375°. Heat a large skillet over medium heat with olive oil. When ready, add around 15 meatballs and cook for 1-2 minutes or until the bottoms get a nice, golden brown sear. 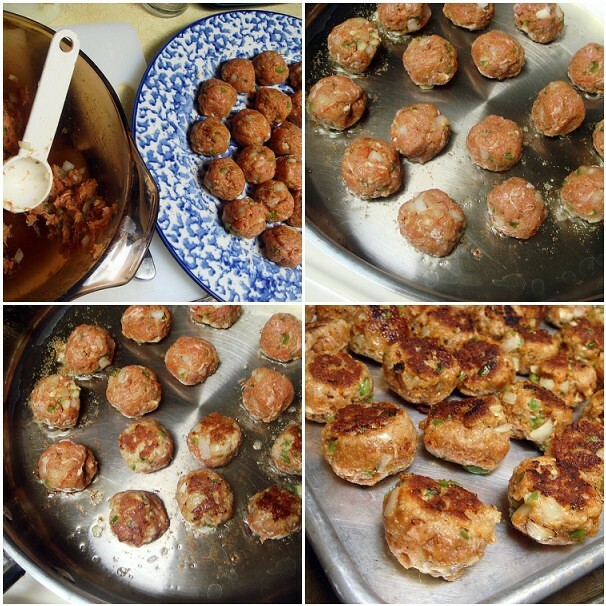 Flip meatballs over and cook for another 30 second to 1 minute, until the bottoms are golden brown. 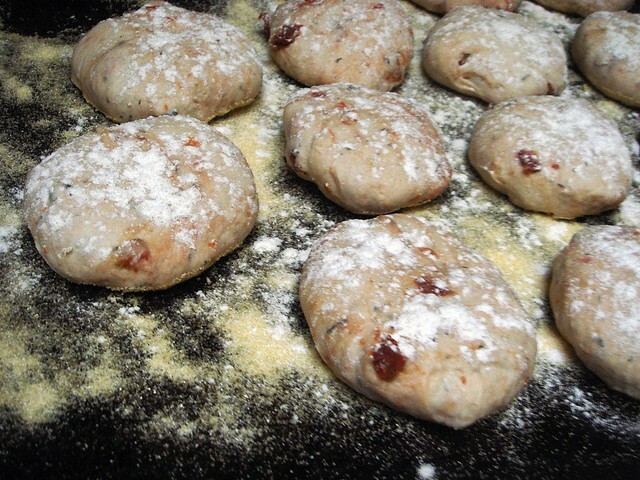 Remove to a rimmed baking sheet and repeat with remaining meatballs. When all meatballs are cooked, spoon half the sauce on top, covering as evenly as possible. Bake for 10 minutes; remove from oven and flip over. Top with remaining sauce and bake for 20 minutes. Spoon onto a serving dish, pouring juice from the sheet on top, and serve with jalapeno slices. I'm going to make this my special celebratory dinner. The first time I made it was during a really happy week, and the other time was yesterday night, when I bought a domain for She Runs, She Eats! I've referred to myself as the Running Foodie for years now, especially since it was part of the address of my blog, and it will still remain part of the address but without the blogspot part. You don't need to worry about changing your feeds because the old address redirects (I'm still with Blogger). 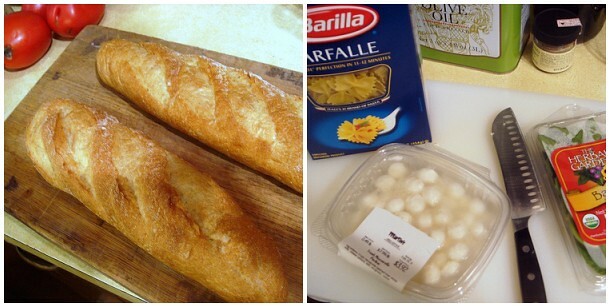 One of Foodbuzz' partners is Frigidaire, the makers of amazing kitchen and house appliances. Frigidaire has started the Frigidaire Kid's Good-For-You Cooking Academy as a way to raise money for Save the Children. Every time you visit the site Frigidaire will donate $1 to Save the Children to help provide nutritious snacks and promote awareness of healthier lifestyles for kids living in poverty in the U.S.
Foodbuzz is offering a contest, as well. If we create a recipe that's kid-friendly to enter into the contest, we have the chance to win some great prizes. On top of that, for each recipe submitted Foodbuzz and Frigidaire will donate $50 to Save the Children. 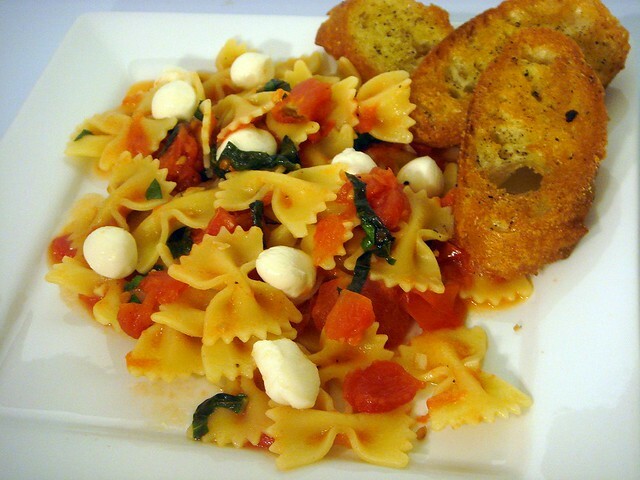 My entry for this contest is recipe that has two main components, pan fried garlic toasts and a caprese style pasta sauce. The sauce is cooked, but uses fresh tomatoes, perline mozzarella balls, and fresh basil. Instead of spaghetti I chose to use farfalle or campanelle pasta since the shapes go better with this dish. To prepare the garlic toasts you slice up a quality baguette into 1/4 - 1/2 inch slices while you heat up some olive oil in a skillet. You'll also want a pair of tongs, two garlic cloves cut in half, and black pepper at the ready. When the oil is heated, you place the bread into the skillet and wait a minute or two until it takes on a golden brown color. 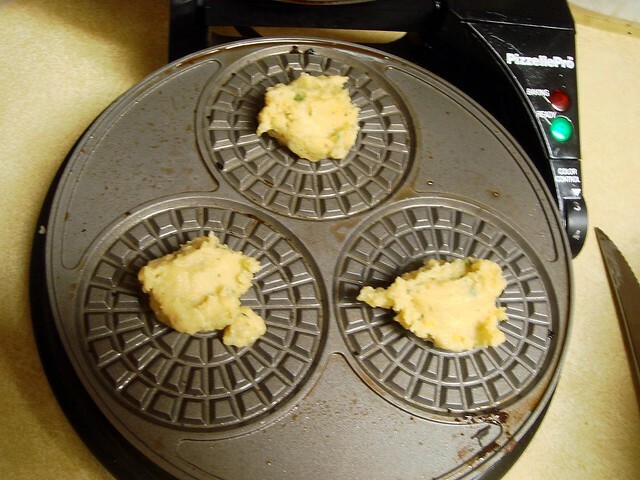 Flip over and continue cooking for another 30 seconds or until that side is ready. Remove onto a plate and let cool slightly before brushing one side with the cut garlic clove. This will release the oils of the garlic to infuse the toasts. Sprinkle with pepper and that's it. Depending on the age of your kids, they can help with the garlic toasts by flipping the toasts or rubbing the tops with garlic and sprinkling with pepper. this tomato sauce is like a marinara sauce in that it's extremely quick to make and flavorful. All you need is 3 pounds chopped Roma or plum tomatoes added to a heated skillet with olive oil. Add in about 7 cloves minced garlic, a teaspoon of salt and sugar, and a sprinkling of black pepper, stir, and let cook down for around 30 minutes. I mashed some of the tomatoes up with a spoon and stirred in a cup of pasta water. The sauce is very flavorful, makes for a simple and tasty dinner, and is elegant enough to serve to guests. 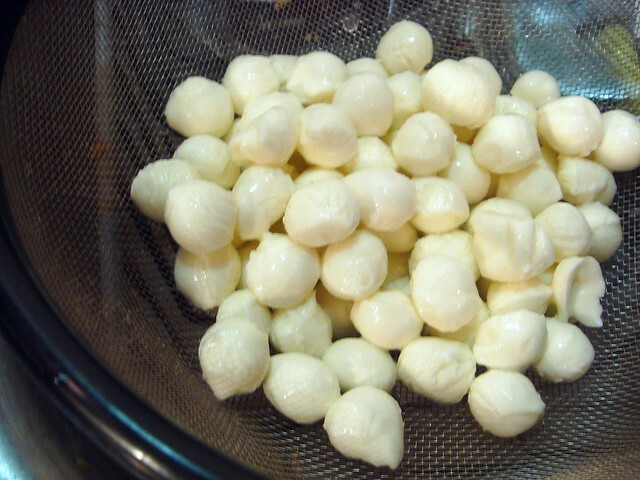 The fun part is the mini perline mozzarella balls. Simply drain and add to the sauce when you're ready to serve. I took the pasta out of the water 2 minutes before it was finished cooking, drained (reserving 1 cup liquid to add to sauce) and mixed in with the sauce in the skillet to finish cooking. I then stirred in the basil and a drizzle of olive oil. That's all it takes to prepare this recipe. It can be made in under an hour and is perfect for a moment's notice if you have all the ingredients on hand. 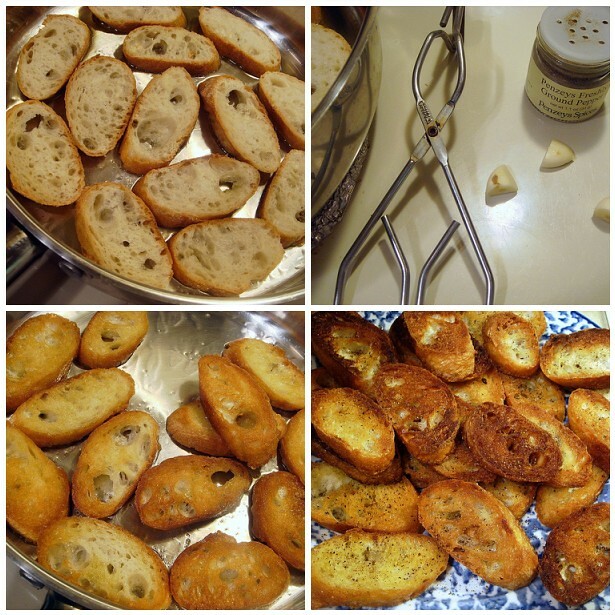 The garlic toasts can be made alone as a snack or for another recipe. I'll probably be doing this often since the toasts were my favorite part! I really like bread. Fill a large pot with water and add 1 tablespoon coarse salt. Heat until boiling. In a large skillet over medium high, heat just enough olive oil to completely cover the bottom of the skillet. When heated, lower the heat to medium and place as many slices of bread that will fit without crowding. Cook until golden brown, about 1-3 minutes. Flip and continue cooking until other side has browned, about a minute loner. Add more oil as needed. Remove onto a plate and cool slightly. Brush tops with the cut side of a clove of garlic, releasing the oils onto the toasts. Sprinkle with pepper. Continue cooking until all slices are toasted. Meanwhile, in another skillet heat a tablespoon of olive oil over medium heat. When oil shimmers add the tomatoes, garlic cloves, a teaspoon of coarse salt, sugar, and a sprinkling of pepper. 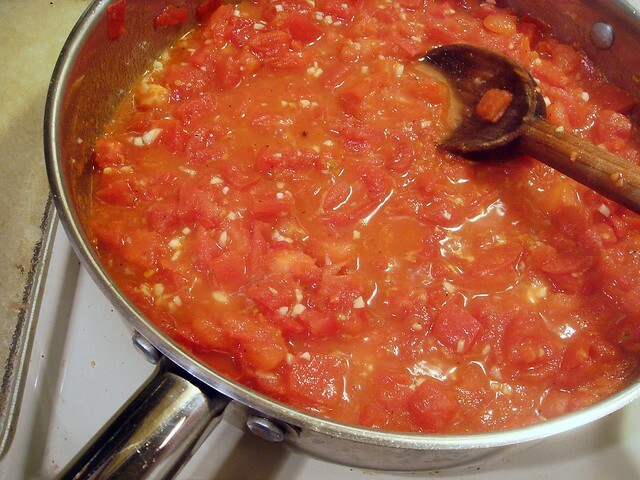 Cook at a continuous simmer until the tomatoes have cooked down and the juices have almost evaporated, about 30 minutes. Lightly mash half the tomatoes. When water is boiling, cook pasta 2 minutes under directions listed on package. 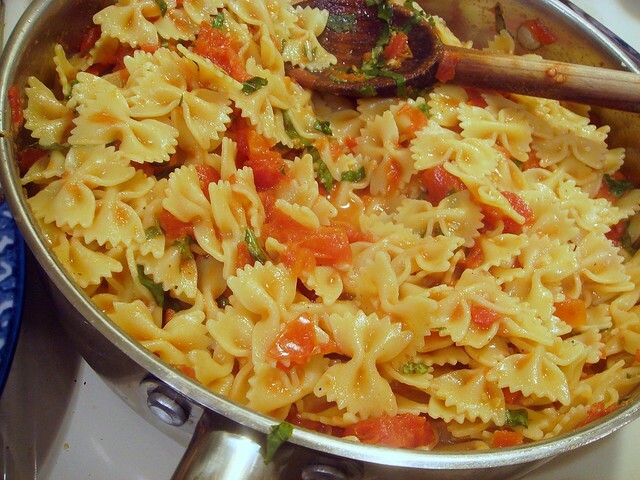 Before draining, add 1 cup pasta water to skillet with tomatoes. Drain pasta and add to skillet, stirring to coat. Cook until al dente. Remove from heat. Thinly slice basil. 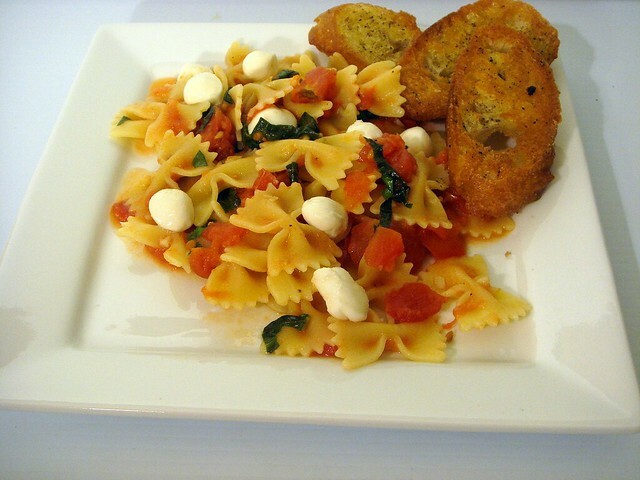 Stir in basil and mozzarella balls into pasta. Portion onto plates an serve with garlic toasts. I'm going to be posting a few recipes that will work for a Superbowl party. 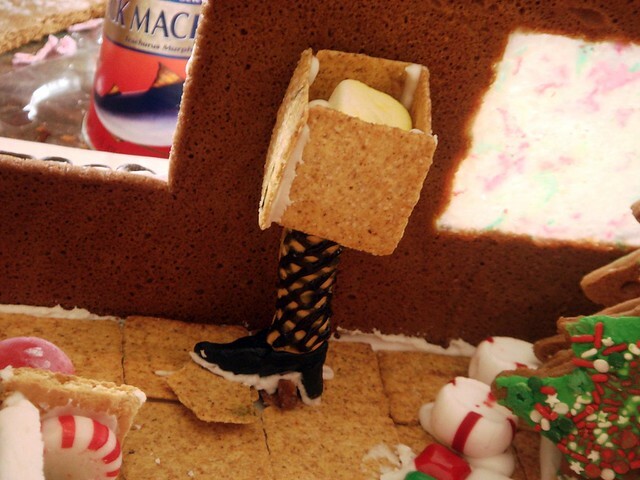 Since many parties include at least one dip, here's an idea for a cracker substitute. The only appliance needed is a pizzelle maker, though. To start, I used a blend of three kinds of flours. 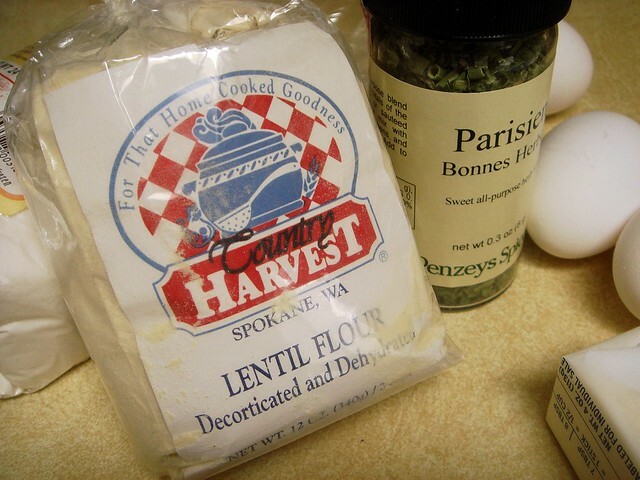 First was lentil flour I received from the US Dry Pea & Lentil Council a while back. A light flavor packed full of protein makes for a delicious pizzelle with optimal nutritional benefits. If you're wary of the fact that it's lentil-based, don't be worried. The flavor is neutral. The remaining two flours are regular all-purpose wheat flour and a bit of white rice flour. I chose to add lemon zest to brighten the flavors of the herb blend I used from a Penzeys Spices gift set I received a while ago from a friend. This "Parisien Bonnes Herbes" blend is described as a sweet all-purpose herb mix. The ingredient list has chives, dill weed, basil, French tarragon, chervil, and white pepper. The "sweet" is probably due to the lighter flavor of the herbs. 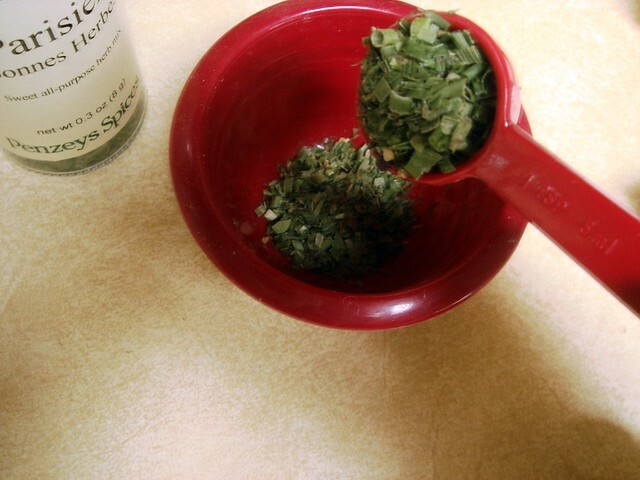 You could substitute herbes de provence. The remaining flavorings are garlic powder and ground black pepper. The batter mixes up quickly. All you have to do is whisk eggs with melted butter for about a minute, followed by milk. 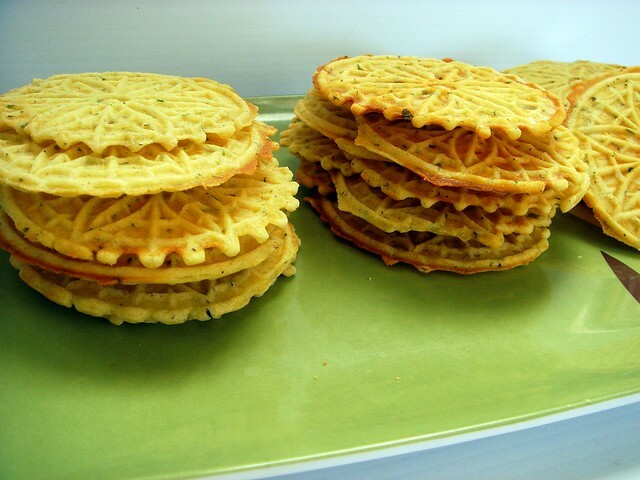 Stir in the blended dry ingredients and you're ready to bake pizzelles. 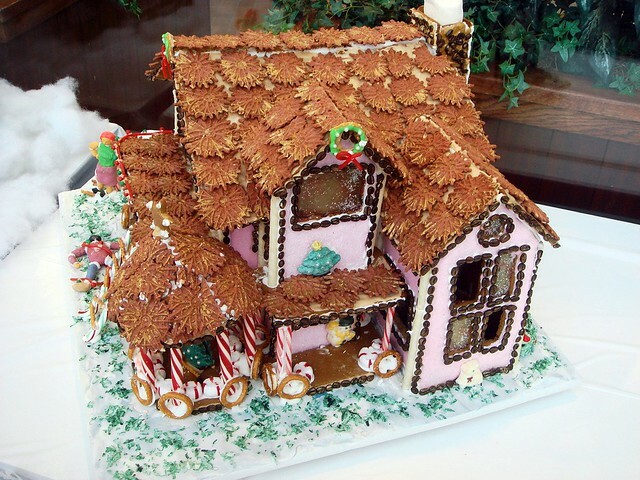 I have a mini pizzelle maker and it's really come in handy, not just for gingerbread house roof shingles but for mini cracker-size portions perfect for dipping. They only take around 45 seconds to cook. The outcome was great. A subtle taste from the flours and a lively bright note from the lemon zest. 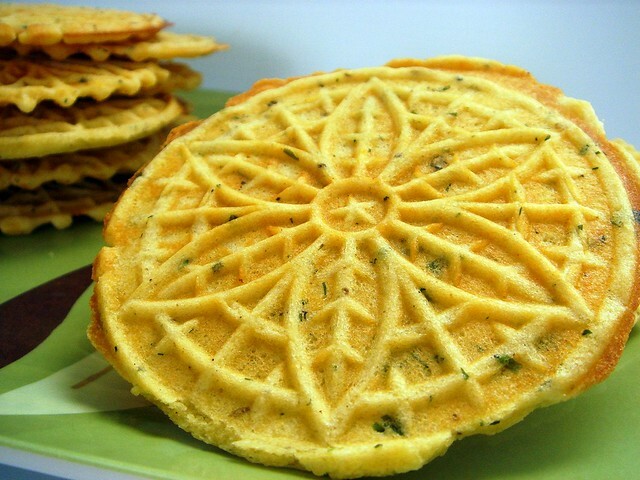 The herbs were accented by the pepper and the entire pizzelle seemed to cleanse the palate. These would make a great accompaniment to chowder or tomato soup, too. Preheat pizzelle maker and adjust brown setting to level of preference. Place cooling racks nearby. 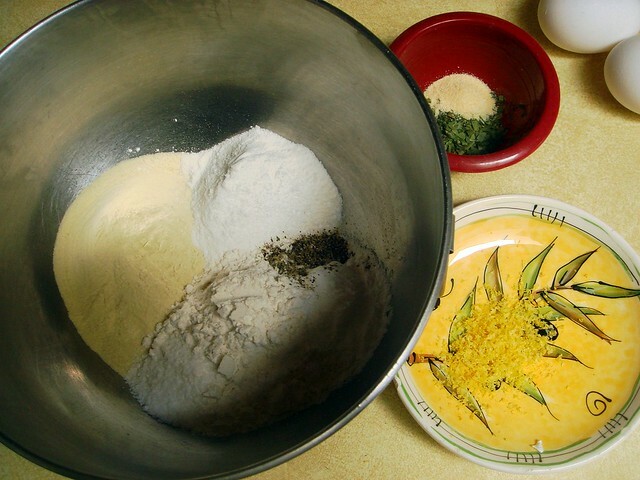 In a medium bowl, whisk together flours, herb blend, baking powder, lemon zest, garlic powder, salt, and pepper. 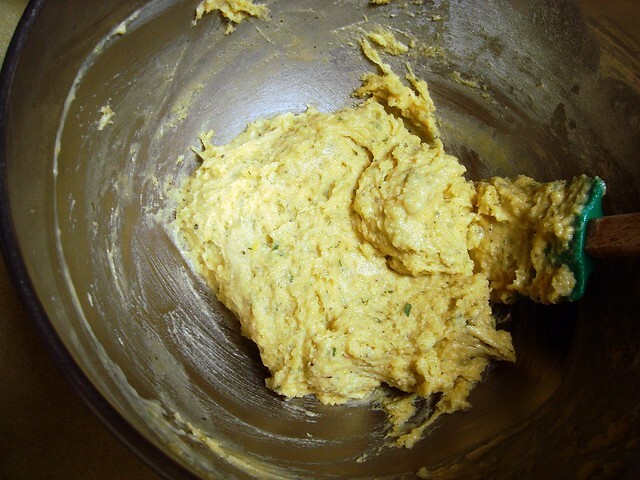 In a large bowl, whisk together eggs and butter vigorously for a minute. Pour in milk and whisk to blend. 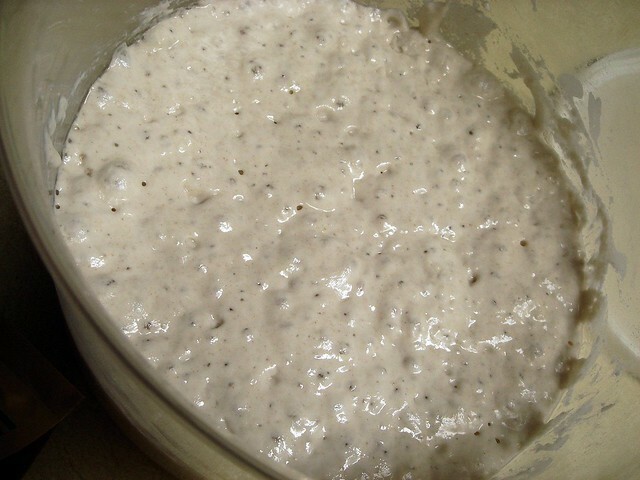 Stir in flour mixture with a spatula or wooden spoon. Portion about 1 1/2 teaspoons batter into center of each pizzelle mold. You may need to use more or less depending on your maker. Let cook according to maker's instructions. When browned to desired preference, remove and place on cooling rack to cool completely. Serve as an accompaniment to soups, salads, dips, spreads, or as a snack. 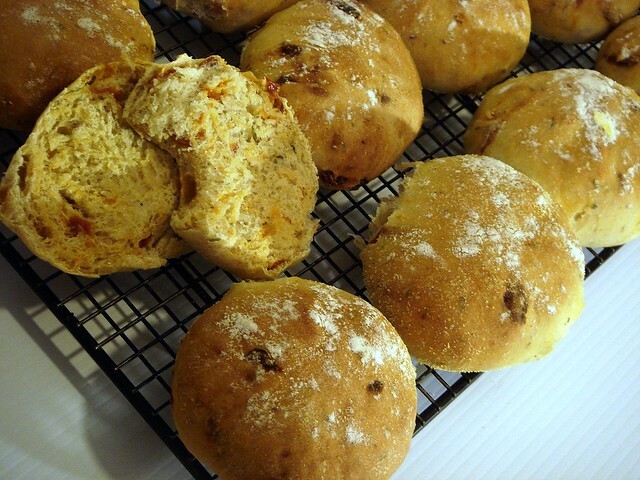 I've bookmarked a particular recipe for rustic olive rolls I saw on a blog before, well over a year ago. 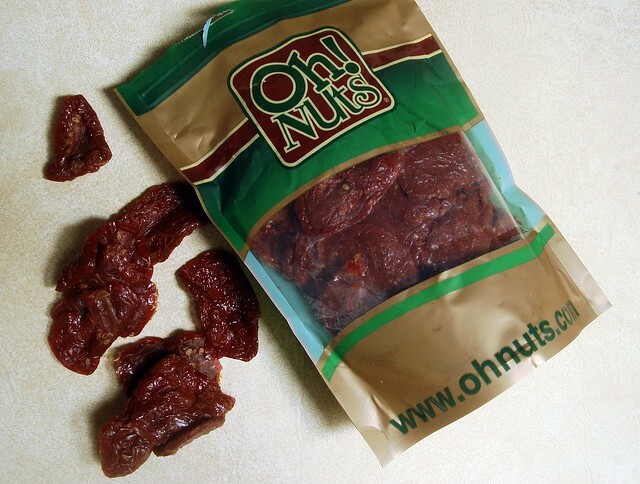 Since I had recently purchased some items from Oh Nuts, I decided to use the sun dried tomatoes I bought. What I liked about these is that they aren't packed in oil, yet they are soft. The taste of these is great. A little acidic, but extremely tomatoey. What I like about these is that you have a greater option of how to use them, either packing them in oil yourself (much cheaper), adding to recipes sans oil, turning them into a pesto, and much more. The good part is that you don't need to soak them in hot water to get them soft because they already are. The first step to creating these rolls is the sponge, which sets for 14 hours. I was a bit lazy so it ended up sitting for around 18 hours and it still worked out. The sponge is what adds that artisan flavor and rustic texture. 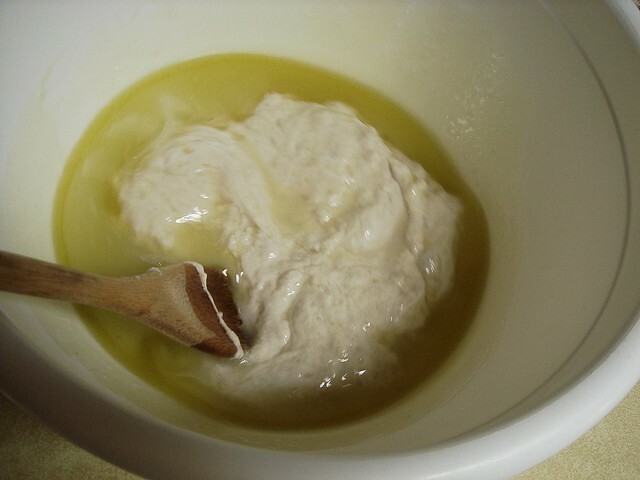 The next day, the sponge is added to more water, olive oil, yeast (the sponge had only 1/16 teaspoon, though I doubled the recipe so it had 1/8th), bread flour, and salt. I added a pinch of sugar. 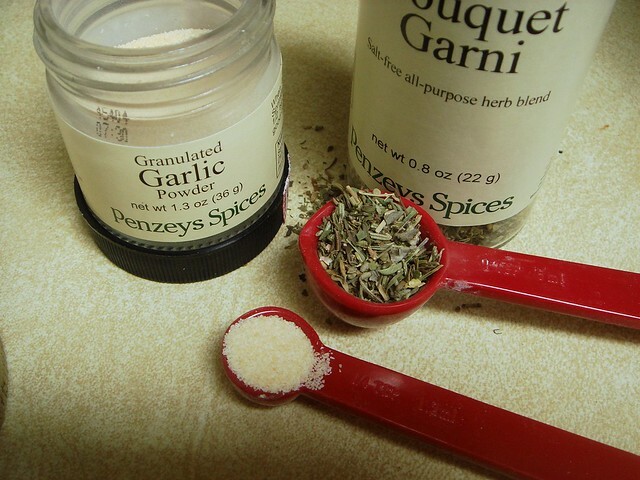 To add more flavor I used 2 teaspoons of Penzeys Spice Bouquet Garni and I think 1/2 teaspoon of garlic powder. So why are these not-so-rustic? Well, I ran out of bread flour. 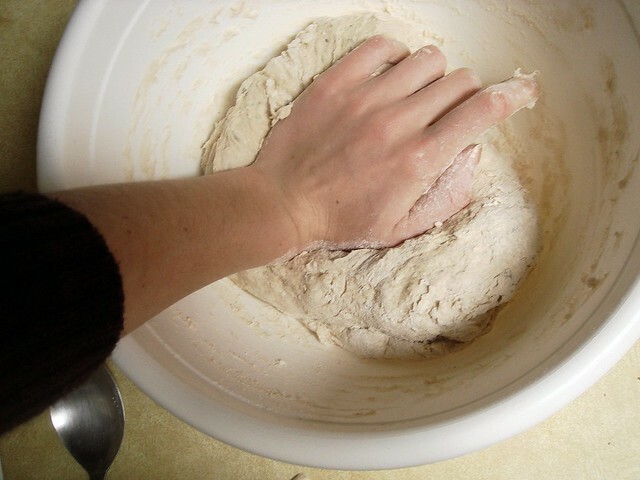 I had made 3 batches of no-knead bread the beginning of the month and it used it all up. At least the sponge had bread flour. For the rest of the loaf, I used all-purpose flour and 1 cup of high gluten finely ground whole wheat flour with a tablespoon of wheat gluten. 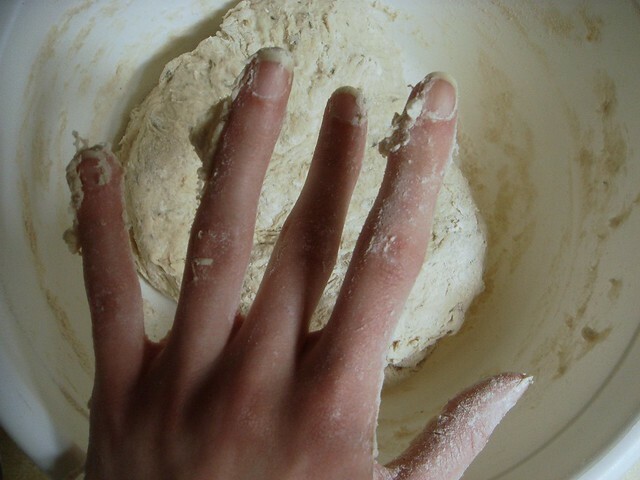 Since all-purpose flour has less protein than bread flour, which aids in the lift and chewy texture of artisan breads. 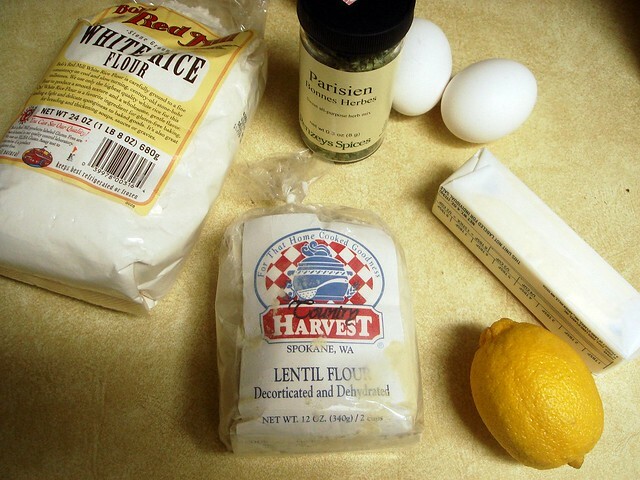 All-purpose is a mix of both high and low gluten flours. Tender cookies? Tender cakes? That's what the lower protein does. Oh well. The bread had a great texture and kneaded well. Note to everyone: Cut my nails before making bread. 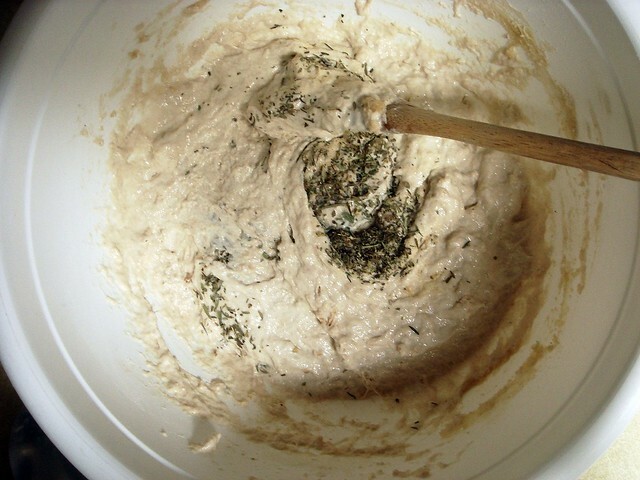 At this point, the dough was smelling great thanks to the herbs. 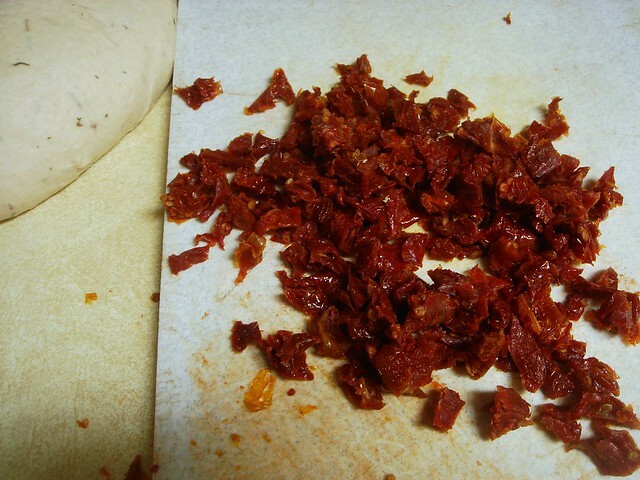 Once the dough was kneaded for 10 minutes and had a smooth feel, I chopped 20 sun dried tomatoes (I would suggest preparing ahead of time so that the chopping is finished before you make the bread) and kneaded them in. 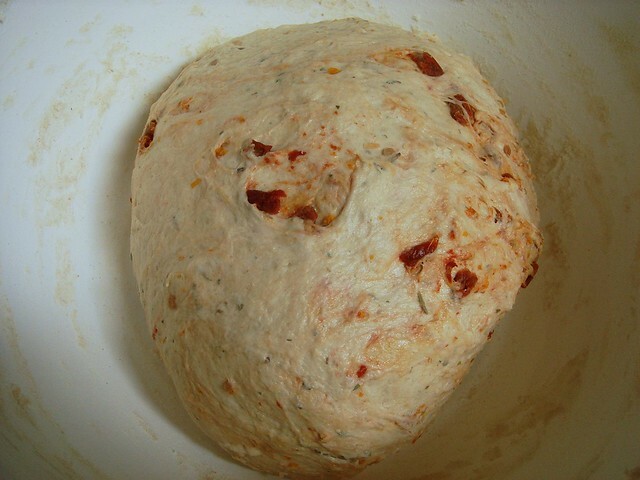 I wanted the dough to be stained red from the tomatoes so that it would look prettier. Next, the dough rises. After the rise, you gently deflate and portion into rolls. I'm not sure if I weighed each piece or eyeballed, I think it was the latter. Since I doubled the recipe I ended up with about 14 rolls. The original recipe makes 6 so I probably made them a bit too small. Once I finished, I let them rise for about another hour. I'll note that the recipe had the rolls rise on on a cotton dish cloth to maintain a rectangular shape, though since I wasn't making rectangular rolls I let them rise directly on the baking sheet, which I lightly greased and sprinkled with cornmeal, dusting the rolls with flour before covering. 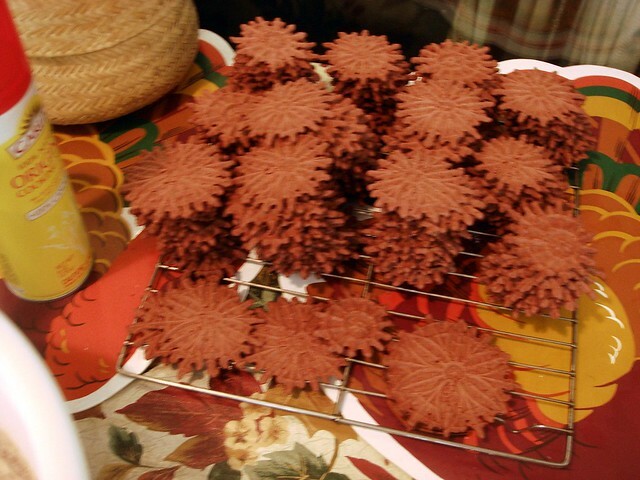 The kitchen had a great aroma as these baked. I remember eating a sun dried bread at a cafe in downtown Grand Rapids a long time ago, and I hoped these would be similar. Texture-wise they didn't come out rustic at all because of the flour issue, but they were still very delicious. The flavors were more mellow than I had expected, though I'm sure you wouldn't want them to be overpowering if you ate them with soup or dinner. I would suggest slicing in half and toasting for breakfast. 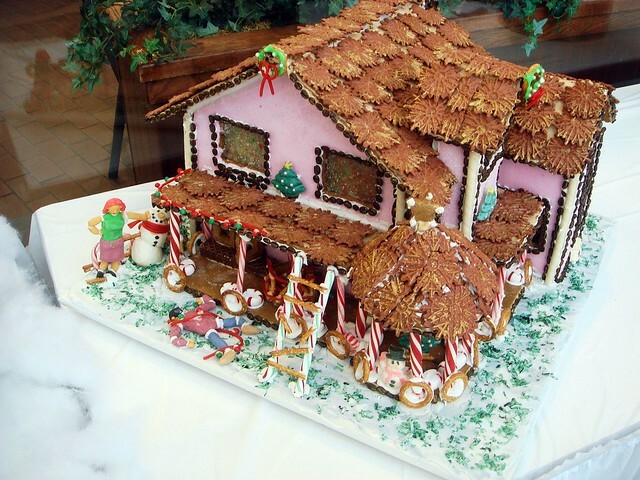 For the past two years we've taken part in a local gingerbread house contest. 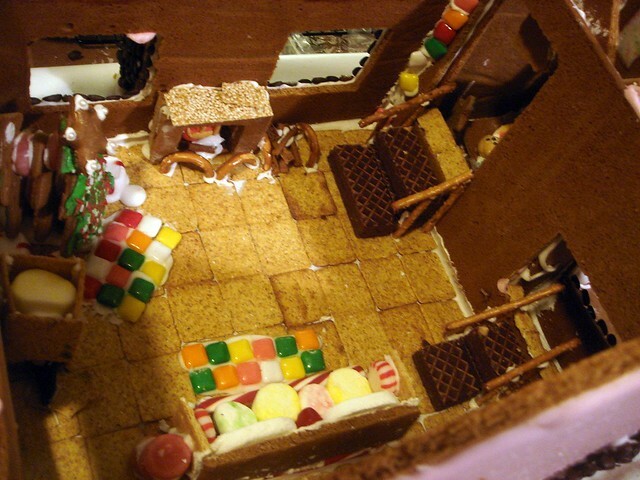 In an attempt to top our house from last year, we created an insanely giant house that we finished in three days. It took a combination of experience, skill, insomnia, and craziness. Luckily, it paid off yet again because we took first place in our category. Here's a little walk through of all we did. You get to participate in our creation, minus the work! 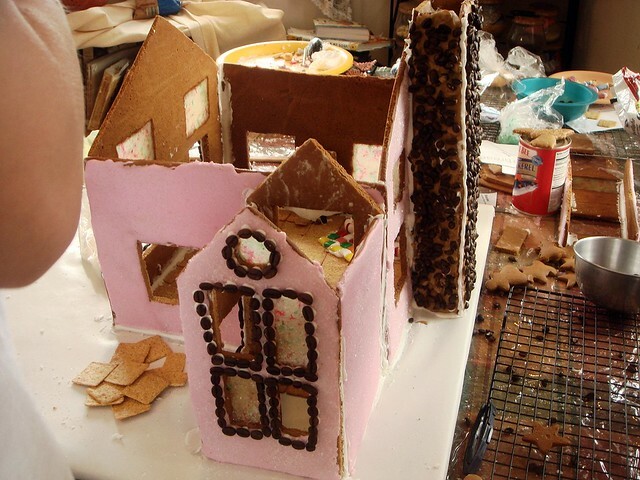 This house took 4 batches of gingerbread, 3-4 batches of royal icing, a crapton of sugar, candy, and half a batch of fondant. 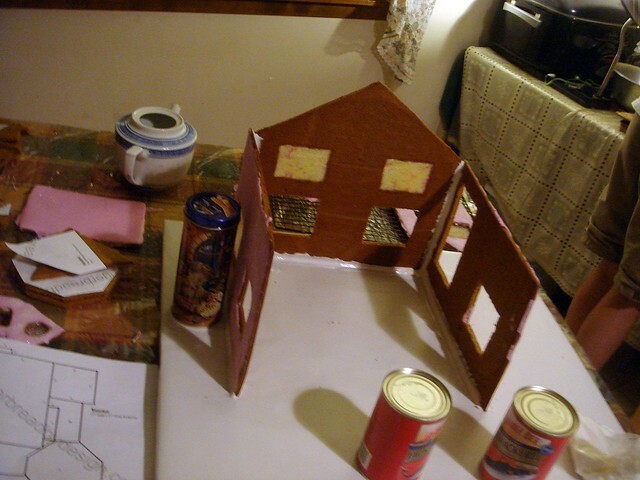 Even though the house was bigger, we didn't have much trouble assembling the walls and roof pieces. 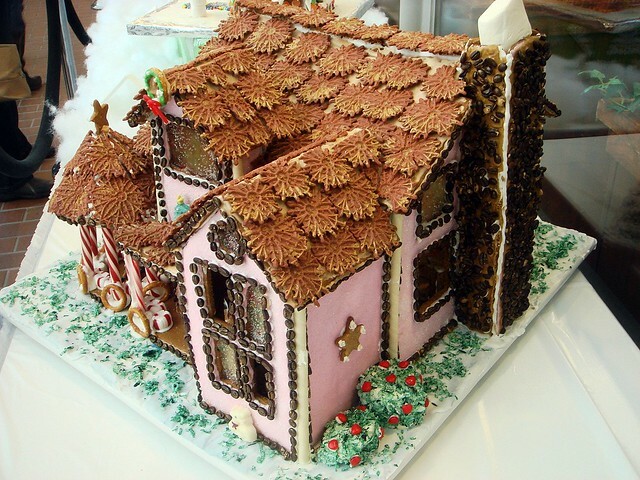 It just took a little bit of time for the cement-like royal icing to harden. Detail counts. 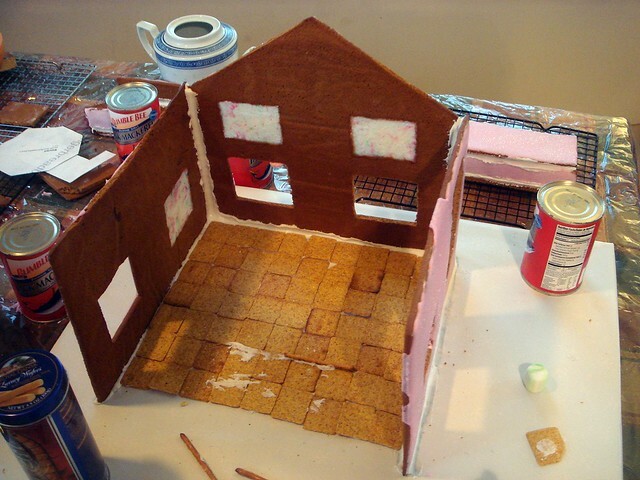 Wheat thin flooring, anyone? What about an iconic leg lamp? So we have staircases, fireplace, Christmas tree, couch! 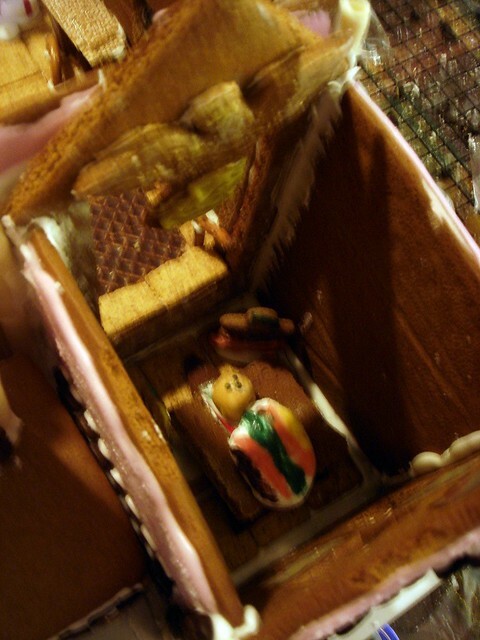 Baby Jesus and an angel had a room of their own. This is the wrong picture, but the pattern we purchased had issues. Issues in that some of the template pieces were too large or had gaps once constructed. 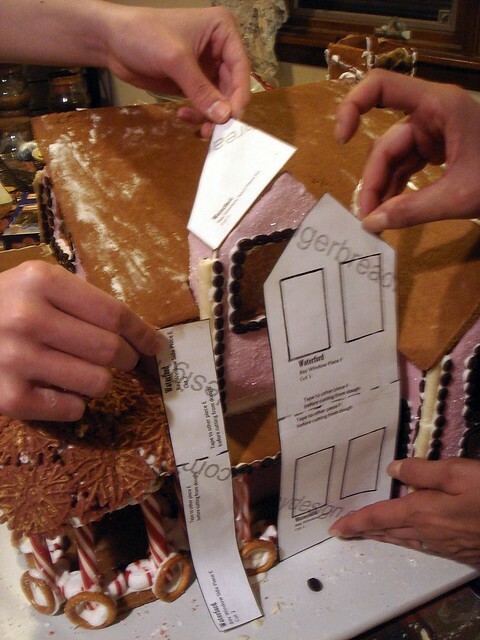 We trimmed all baked pieces back to the size of the template we cut out from the pdf we downloaded, too. Unfortunate, but we fixed it. My pizzelle maker came in handy. 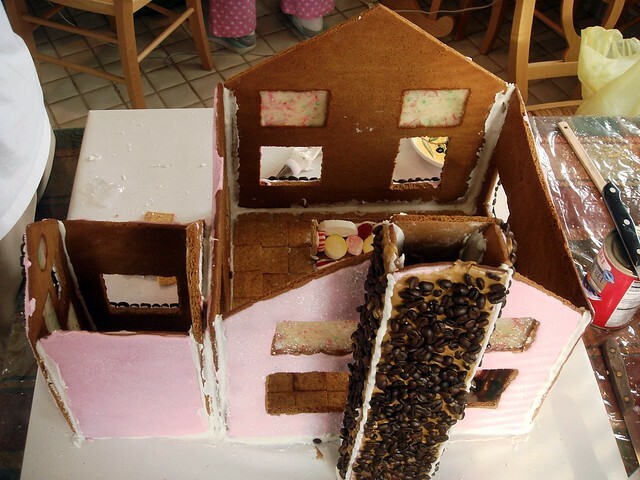 We used extra mini pizzelles as shingles for the roof. 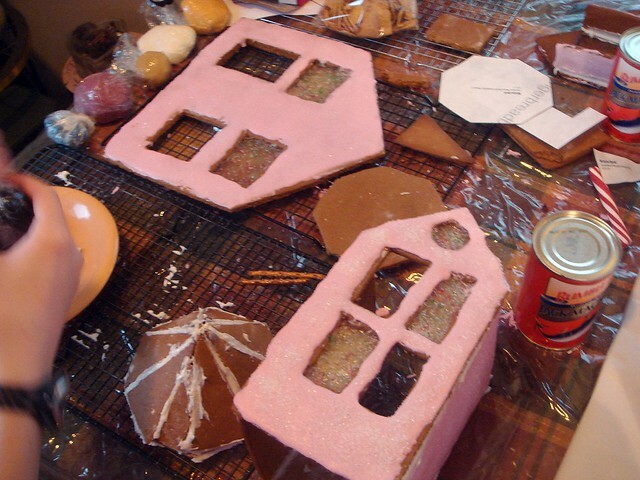 After the shingles were attached, we brushes edible gold luster dust mixed with beaten egg white onto the edges for shine and sparkle. My brother created this hilarious fondant figurine scene. Fondant wife is not amused. And that's it for this year. What's kind of funny is that as we construct our houses, we always think the effect isn't going to be what we wanted. In the end, we end up impressing ourselves by the outcome because when you're tired, in the midst of all that has to be completed, you have a bit of trouble envisioning how it will really look like. I didn't really gross myself out this year because I didn't eat much of the candy. 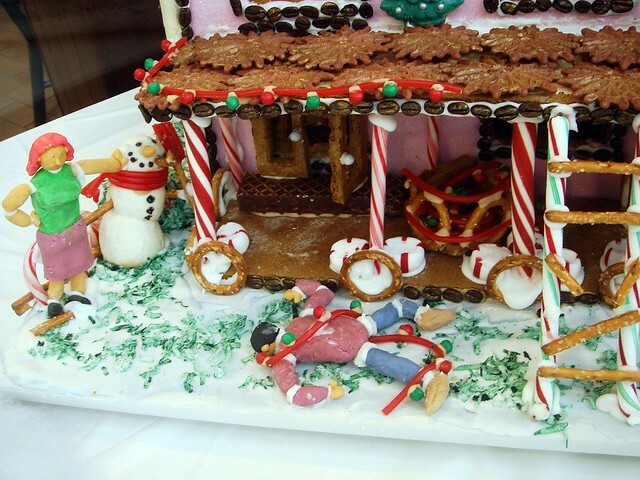 I wanted none of it; the sugar fumes were bad enough. The coffee beans seemed like a good idea, though later on they started falling off, we think due to the oiliness of the beans. I got these Emergen-C packets in the mail back in December and saved it to review in depth later. The packet says that "You're among the first on the planet to taste!" Their new flavor is dragon fruit, which the packet says is exclusively at Whole Foods, and besides offering a wealth of vitamin c, I'm going to discuss this beverage in a different light. 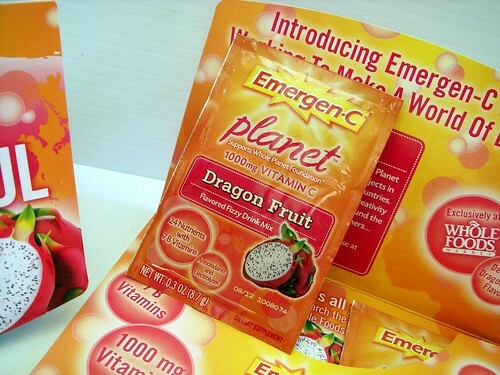 If you're unfamiliar with Emergen-C, they come in individual packets that make it easy to transport wherever you go. You can vary the amount of water to suit your tastes, making it more shot-like with 2 ounces or up to 6 ounces. I used 2/3 cup which is less than 6 ounces, though had I used more the flavor would have been thinner. The flavor tasted a bit like strawberry and pomegranate, and pleasant. When you look at the ingredients, strawberry fruit powder is third on the list. I'm not entirely sure what dragon fruit tastes like, though I tasted other flavors more and so did my brother. The texture of the drink is smooth and it mixes up well. It fizzes at first, then settles down. As I said above, this particular flavor is available at Whole Foods, though I'm unsure of the price. 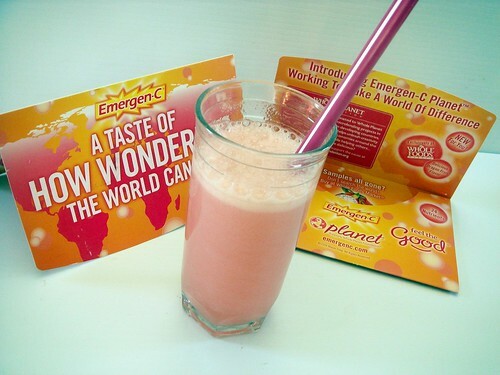 Emergen-C is contributing 10¢ per box to Whole Planet Foundation®. To learn more click here for their Facebook page, and click on the "whole planet" tab. Each packet contains 20 calories, 5 grams of carbohydrates, all from sugar. There are also a wealth of B vitamins, and B vitamins have been known to give you energy. 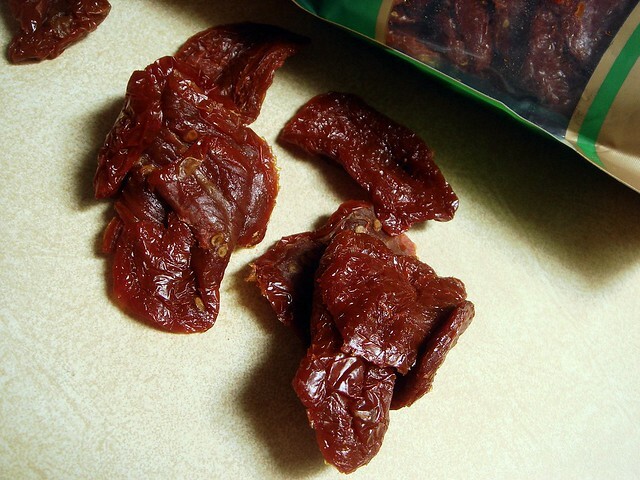 Included is 200 mg's of potassium, which are known to help replace lost electrolytes and 60 mg's of sodium. Does this sound familiar? It almost sounds like an energy drink. Two summers ago I used to mix up a glass of Emergen-C about 10-15 minutes prior to a run. Because you drink all of it at once, opposed to sips throughout a workout as you do with the energy drink, the vitamins and minerals get into your system before you head out. I figured this might help me as I ran if I already had some stuff in my system, particularly the sodium. I'm not sure how much of everything actually gets processed into your system, but I imagine it's enough to help. Since I wasn't working out longer than an hour and a half most of the time, it wasn't normal for me to drink anything on runs. 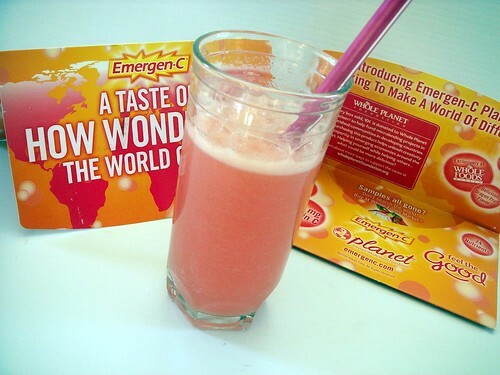 I did feel less drained afterward when I drank Emergen-C before running compared to when I did it, so it's worth a try. What are your favorite workout drinks?